William Haas Bryant was born on July 30, 1942 in Peoria, Illinois to Roger and Monica (nee Haas) Bryant. He died Tuesday, April 2, 2019 at his home. Before he retired Mr. Bryant was an inside salesman for General Business Forms for many years. He was a member of Holy Family Catholic Community where he also was a member of the Knights of Columbus Council. William enjoyed cars, boating, making jewelry, and travel, especially to Mexico and Italy. He is survived by his spouse of almost 50 years, Stella “Sally” nee Cratty; his children William Matthew (Gail), Kathleen Elizabeth, and Paula Leslie Bryant; his grandchildren, Will, Sam, and Michael Bryant; and his sister, Rebecca (John) Kelley of Peoria. 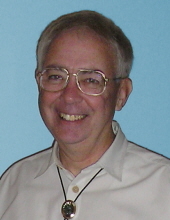 Memorial visitation from 9:30 am until time of Memorial Mass at 10:30 am, Saturday, April 6, 2019 at Holy Family Catholic Church, 2515 W. Palatine Rd., Inverness, Illinois. American Lung Association, or St. Jude’s . "Email Address" would like to share the life celebration of William Haas Bryant. Click on the "link" to go to share a favorite memory or leave a condolence message for the family.